Your horse’s immune system can be “compared to a totalitarian state”, says Ian Tizard, author of the book, Veterinary Immunology, An Introduction. “Foreigners are expelled and citizens who behave themselves are tolerated, but those who ‘deviate’ are eliminated” he continues. How does the immune system get rid of the antigen? 1. It must identify the antigen as foreign. 2. It must launch the immune response.This is done by cells called lymphocytes. 3. It must destroy it – either using cells (such as neutrophils or macrophages) or antibodies (mostly Immunoglobulins). When is the immune system compromised? Many things can compromise this delicate system. When that happens, pathogens can enter your horse’s body and make him sick. According to Glen Gamble DVM, compromise of the immune system is almost always caused by one of these three things: stress, nutrition or age. How do we boost the immune system? Obviously, optimising the nutrition and minimising stress is a good start. 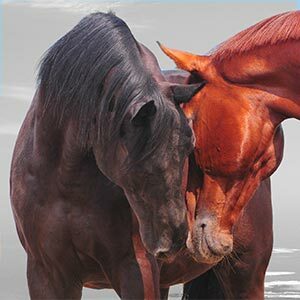 Herbs that can help: Ginseng (an adaptogen, which helps the horse cope with stress), Echinacea (been shown in a placebo controlled double blind study to boost immunity in horses) and Garlic (outperforms antibiotics in some trials). How the horse's immune system works and how nutrition and supplementation can help. I have a 6yo, chestnut standardbred mare, who is highly strung, very energetic and gets stressed easily.i bought her after her 1st season of training (harness racing) but have no in intention of racing her as she has been re-educated by me all winter and is going nicely in all ridden areas. (xc, hacking, showjumping, leisure riding). she has developed small sarcoid like warts on various places over her body and so I have approached her illness with a holistic view. I am a fully qualified Holistic and Sports Therapist and have been practicing 4 roughly 8yrs.so I have gr8 ground knowledge of oils and herbs,doses and illness management. ive found the articles here very interesting and helpful and have bought books that have been referenced. thank you and keep the info coming.